Do not place this product on grass or any surface that will flex or move, it must be placed on a flat surface such as concrete. 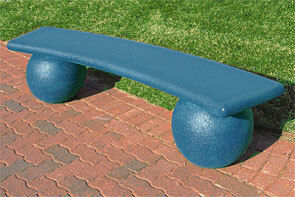 This eye catching concrete sphere park bench with its slightly curved seat is interesting as well as functional. You can use it as a border between flower beddings or add it to a central gathering area. 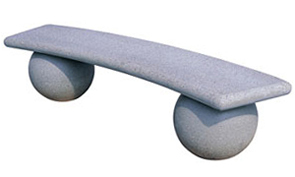 The precast concrete sphere base bench meets all ASTM standards and is reinforced with 3/8" and 1/2" steel rebar for added strength and durability.